I'm just a tiny bit obsessed with the latest Geico caveman ad, I think because the actor's beautifully quiet expression of dismay, resignation, and exasperation are how I feel half the time about everything. I think I also admire actors who can project subtlety through heavy makeup. The all-time award for that was retired by Peter Boyle, whose wonderful, nuanced, hilarious performance as the title character in Mel Brooks' 1974 comedy "Young Frankenstein " placed him firmly in my personal pantheon of quirky greatness. Just watch his face as the blind hermit (Gene Hackman) mistakes the monster's thumb for a cigar and tries to light it. Jimmy Cagney could do that with facial expression, but not very many other actors can. The whole movie was a virtuoso performance by Boyle, and it looked like he was having a lot of fun with it, too. He was a great friend of John Lennon's—Lennon was best man at his wedding—and despite his aptitude for comedy he played some great angry-man roles over the years, the best being in a movie called "Joe " (1970) in which he played a sort of dark, murderous Archie Bunker. He was also in Robert Redford's "The Candidate" (which I admit I didn't care for), with smaller parts in films such as "Taxi Driver " and "Monster's Ball " among many others. He did character turns on a lot of TV shows, notably in a handful of episodes of "NYPD Blue" in 1994 and '95. He ended his career playing comedy, as Ray Romano's septic dad Frank on "Everybody Loves Raymond," where he distinguished himself by having a heart attack on the set. (Romano said of his real father, "If he had hugged me once, I would be an accountant. I'd be doing your books.") Peter Boyle died last night of multiple myeloma and heart disease. He has two more films in post-production, which I'll probably go see when they come out, just because. Maybe, just maybe, we could get Gene Wild..., er, ... Young Frodrick Von Frankensteen... to help bring his fellow actor back to "LIFE! GIVE MY CREATION LIFE!!!" Peter will be sorely missed. While I enjoyed his earlier work, the depth of Peter Boyle's talent and skill finally dawned on me while I watched an X-Files episode in which he played a superficially "average" guy cursed with the ability to foresee people's manner of death. The character could have been easily and adequately drawn as caricature, but Boyle (well supported by the writer and crew and cast) gave a quietly stunning performance that was full of warmth, pathos, humor, acerbic wit and, most of all, humanity. I'm somewhat consoled by the fact that even late in life he was enjoying a busy and successful career at the top of his profession, and doing something he loved. 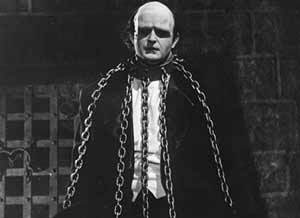 Young Frankenstein was topped, IMHO, by another Peter Boyle performance-- in Steel Yard Blues. I'm still not sure I understand what happened in the end, or was it the beginning? But as Eagle he stuck in my mind. Wherever we went, there we were. The speech that Boyle gives in YF (once the monster can talk) is truly beautiful. Speaking of beautiful, isn't YF one of the best-looking black and white movies you ever saw? It makes you wish the world was dipped in Tri-X. "Speaking of beautiful, isn't YF one of the best-looking black and white movies you ever saw? It makes you wish the world was dipped in Tri-X."